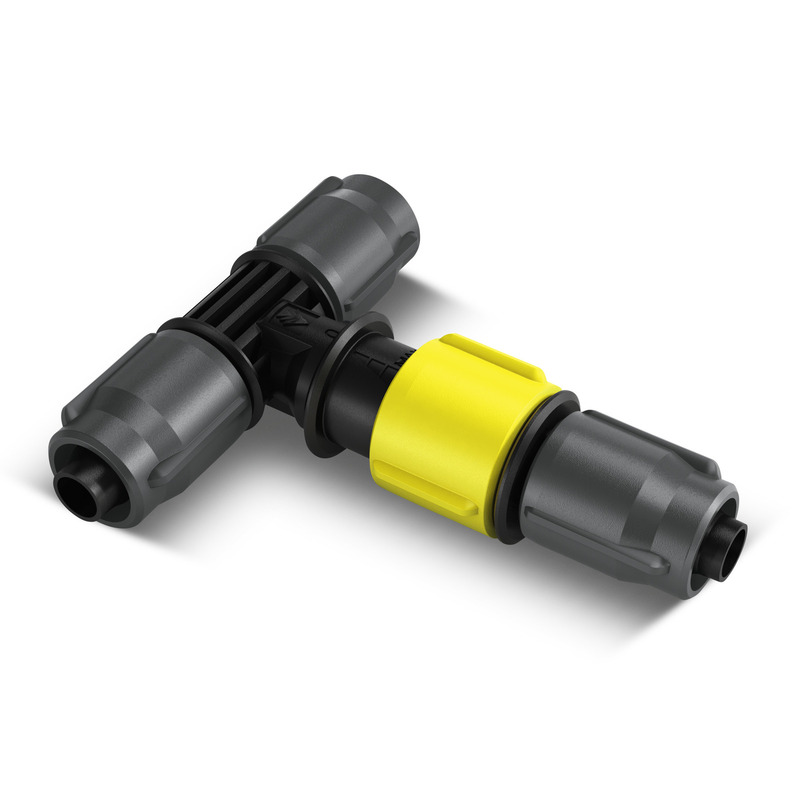 T - Connector with Water Flow Regulation 26452310 https://www.kaercher.com/ie/home-garden/watering-systems/kaercher-rain-system-tm/t-connector-with-water-flow-regulation-26452310.html The T-connector with water regulation connects 3 Kärcher Rain System™ hoses or soaker hoses, allowing you a make a perfect water system, bespoke to your garden. The T-Connectors with regulation is part of the Kärcher Rain System™. 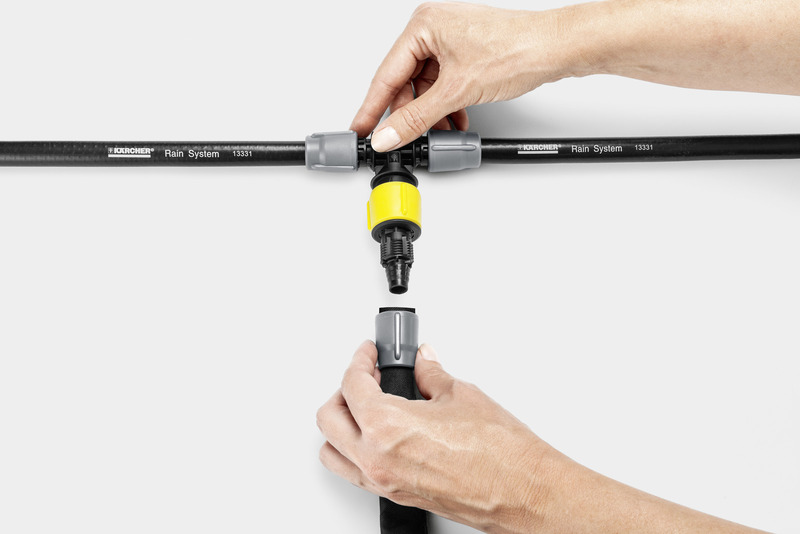 It connects three Kärcher Rain System™ hoses or soaker hoses with each other and allows the laying of two independent hose lines. This means that the system can be perfectly adapted to individual requirements. The lateral tee is volume-adjustable and thus pressure-adjustable and is perfect for connecting the soaker hose. 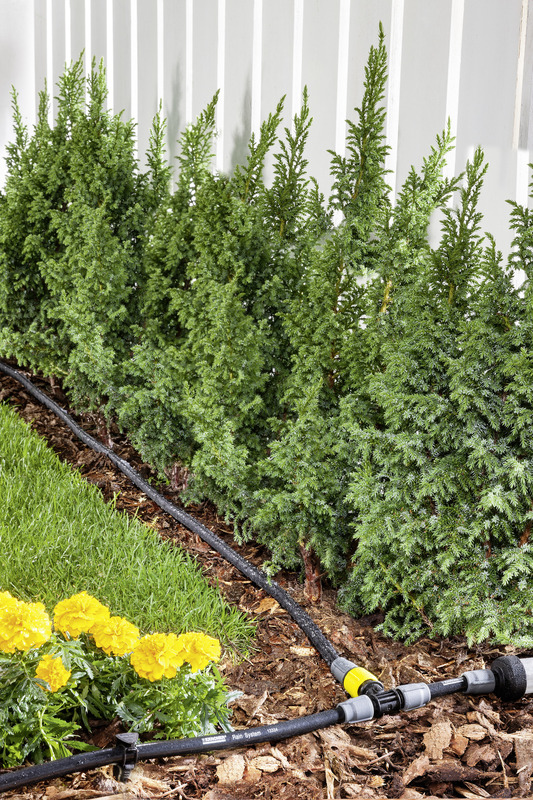 The hose is extremely easy to install, without the use of tools. The hose is simply pushed onto the T-Connectors and fixed using a union nut. The highly efficient Kärcher Rain System™ combines the advantages of micro-dripping and conventional watering systems, works with up to 4 bar pressure and features a 1/2" hose with drip and spray collars. The Kärcher Rain System™ can be individually adapted to almost any type of garden and works perfectly together with the SensoTimer for needs-based watering control.